Almost every week, there are reports of teenage and child suicides that result from bullying. Government officials attempt to address the problem by introducing new, tougher anti-bullying measures, but the state’s measures to address the growing epidemic of bullying appear to be having very little positive effect. Such was the case with the “zero-tolerance” policy that school gangs could manipulate so that innocent victims were suspended from school. 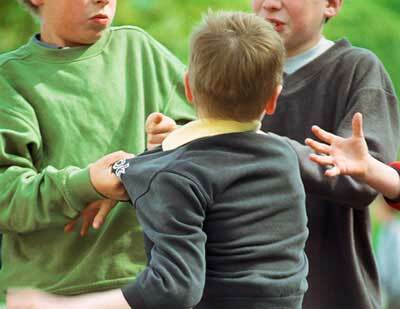 Over a period of several decades, successive state policies may ultimately have contributed to the bullying epidemic that is now rampant in the state schools of many countries. Teenage girls have ended their young lives after having been repeatedly harassed and emotionally bullied by their peers at school and via Internet-based social networks. Some experts in the field of girl-on-girl bullying assert that such behaviour results from competition among girls for the attention of boys. Girls generally become interested in boys after reaching puberty, which according to medical textbooks that date from around the year 1900, used to occur between the ages of 17 and 19 for most girls. During the early years of the 20th century, most girls of that age would have already completed their (compulsory) formal schooling and would have acquired the emotional maturity to manage their developing power to conceive and reproduce. As well, they would likely have had much emotional support and guidance from within their extended families. During the early years of the 21st century, however, reports are surfacing of girls reaching puberty as young as 10 years old and even 9 years old. That reduction in the age of female puberty indicates that something has happened to advance the onset of puberty, and state policy may have played a very significant role in that regard. Over the past century, government officials have sanctioned and approved almost all of the changes that have occurred in the water supply (industrial pollution, fluoride) and in the food supply (injecting growth hormones and antibiotics into livestock, feeding grain and meat byproducts to cattle). The combination of changes in the water supply and the food supply, and compulsory vaccination and medication may contribute to girls reaching sexual maturity during their preteen years. State schools are now populated by thousands of such girls, increasing the likelihood of them competing with each other for the attention of boys. Groups of girls form exclusive cliques in the state-run schools and their members assert certain rights to pursue the interest of certain boys in a school. Girls who are outside such cliques may be subject to taunting, harassment, and emotional bullying, sometimes to the point of suicide. Author and psychologist Nathaniel Branden, who has written extensively on self-esteem, suggests that children can learn self-acceptance in a functional family environment when such behaviour is modeled for them. They then have little need for the acceptance and approval of others. In his book entitled The Disowned Self, Branden discusses the syndrome of self-alienation that is rampant in contemporary society and a motivational factor behind the increased use of drugs and alcohol. While a self-alienated adult may crave the approval of others, a self-alienated youth may gravitate toward membership in a clique or gang. "In an extended family where children’s emotional needs for acceptance, status, appropriate attention, approval, and validation are being repeatedly met, the children have little need to compete with each other for the attention of adults." In the classic extended family where many adult relatives interact with children, they fulfill the emotional needs of the children and serve as positive role models. In an extended family where children’s emotional needs for acceptance, status, appropriate attention, approval, and validation are being repeatedly met, the children have little need to compete with each other for the attention of adults. One of the theories as to why children from modern nuclear families engage in bullying behaviour is that they are competing for the attention, status, approval and validation of significant adults and significant peers that children of an earlier generation received from their extended families. Former gang leaders have on occasion revealed some of their leadership secrets. They see the gang as a surrogate family that attracts boys (and girls) from mainly fatherless homes, or homes where the father is physically present but emotionally absent. Gang members have a deep need for status, acceptance, approval, recognition, affirmation and validation from their peers and significant others. That need drives them to participate in gang activities that may include inflicting harm on others. In state schools, cliques of boys have been known to harass other boys who attend the same school and who are outside of the cliques, including boys who have a disability or medical condition or who are suspected of homosexuality. During the 1960s, a psychologist named Dr. Stanley Milgrim conducted a series of experiments that involved subjects carrying out orders to inflict harm on their peers, in the form of higher electrical shocks. Several participants obeyed the authority figure to administer “lethal” electrical shocks. A similar experiment of that period involved a group of subjects in the role of “prison guards” who had been given authority over peers. The experiment was curtailed due to the abusive behaviour of the test group who were in positions of authority. Reports from survivors of bullying and related suicide notes suggest that some exclusive high school cliques may be enacting similar behaviour. While clique members gain status among their peers by participating in activities that may harm others, the need for acceptance seems to override any sense of empathy or compassion for the bullied target. State social and welfare policies have undermined the traditional family as well as the influence of religious institutions. During an earlier time, religious institutions ran charities and social assistance programs that were funded by voluntary donations. The spiritual and emotional guidance that was once part of children’s lives is long gone, replaced by programs in state schools that are devoid of any such guidance. While state officials may claim to be addressing the school-bullying problem through tougher rules, they may be reluctant to admit that the bullying problem is the long-term result of successive state policies. Until governments overcome their reluctance to repeal the numerous regulations and laws that have directly and indirectly contributed to the problem, parents may wish to consider the home-schooling option out of concern for the safety of their children.